Doberman Rescue of Nebraska, Inc. is a non-profit organization which rescues Dobermans from shelters, owners who cannot or will not provide for them and those who are strays whose owners never try to locate them. The rescued dog goes directly to a veterinarian for a spay/neuter, vaccinations, and any other necessary medical treatment. From the veterinarian the dog usually goes into foster care. Once there, the foster parents work with the dog to achieve basic obedience, housebreaking, overcoming any fears that may result in undesirable behavior, and proper socialization. Many of these dogs have been neglected, not only in a nutritional/medical sense, but also in a psychological/emotional sense. The socialization process promotes the dog’s confidence, willingness to learn, and trust. For many dogs this is the first love and kindness that they have ever known. All fosters must complete the application(the same one used for adoption), pass a reference and vet check and a home visit. All fosters must be over 19 years of age. All dogs and cats owned by fosters must be up to date on vaccinations and spayed/neutered. Children in foster homes must be age 8 or over. We cannot allow fostering in homes with children under age 8. Foster dogs should be available to show at adoption events two Saturdays a month. We will make arrangements to show the dog when it doesn’t work with your schedule. New fosters must come out and volunteer some Saturdays before being allowed to take in a foster if they do not have prior experience. Fosters will be required to sign forms before being allowed to foster. Fosters will be provided with more details on the rules of fostering once accepted into the program. 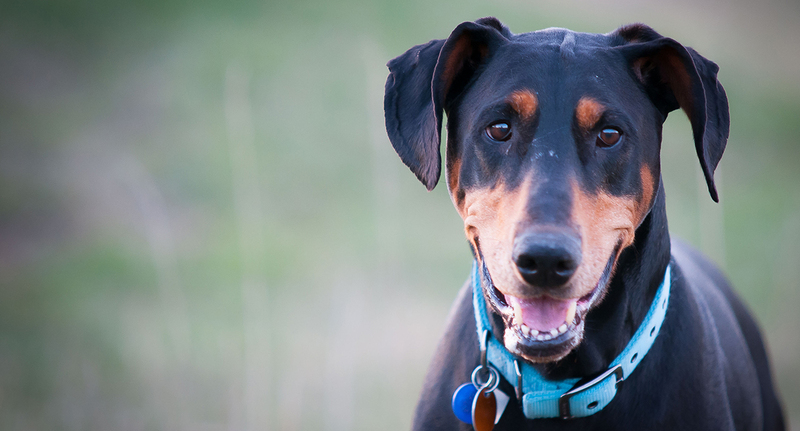 To foster a Doberman, please use our on-line adoption form by clicking here.